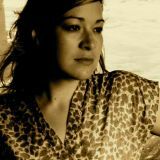 Jill Barber goes from strength to strength with her distinctive voice and wonderful songs, so it’s time the wider world got to know and appreciate Jill! Here are Jills’ travels and gigs this summer. If you haven’t heard Jill perform – where have you been!?!?!!! Catch her if you can on the East Coast or London….